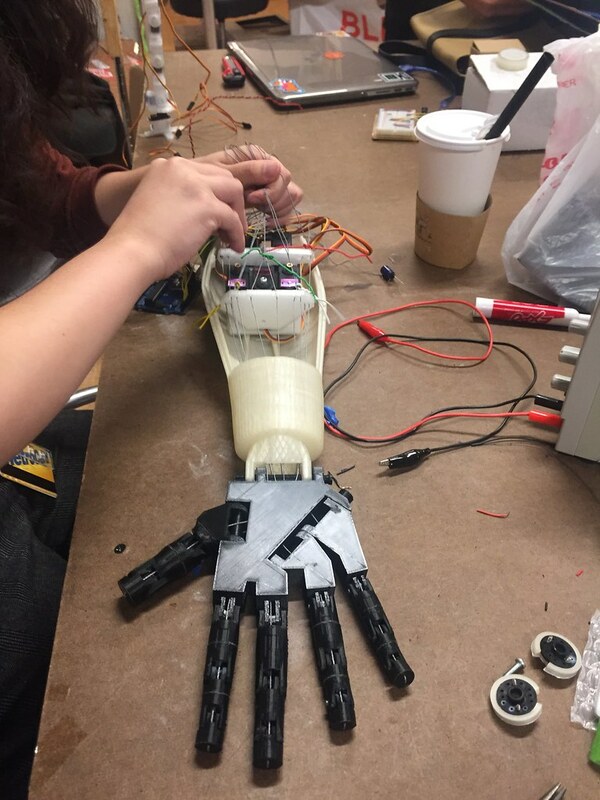 Huffington Post - "Fingers, Water, Tails - Tactile Tech at ITP"
New York University PR Team -"ITP Winter Show 2016 Highlight"
As the continuation of the midterm project , Tong and Nick decide to develop their ideas and design a RPS game robotic hand (and arm) that are more interactive and with more personalities. 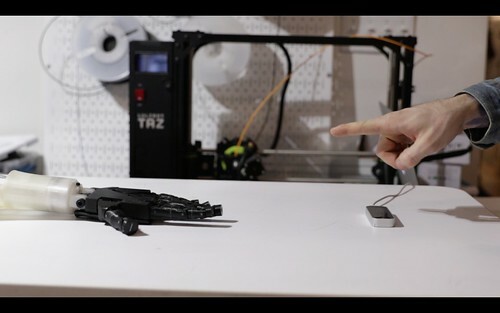 The final presentation for this project is an installation in which users could simply come and play with the RPS game robotic hand without wearing any extra devices. 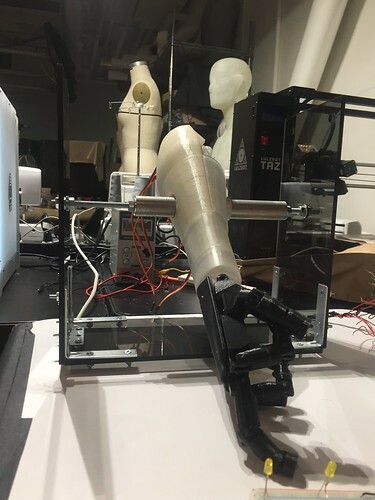 To build the hand and the forearm of the robotic hand, we used the models from InMoov, an open source model library for 3D printed life-size robot. 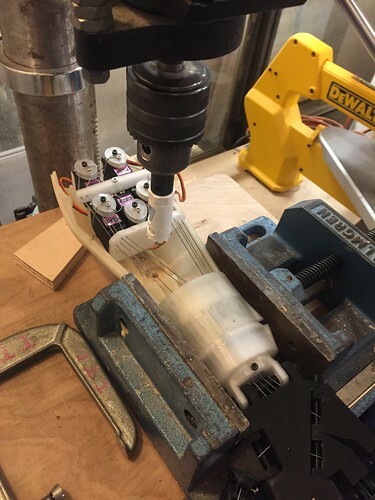 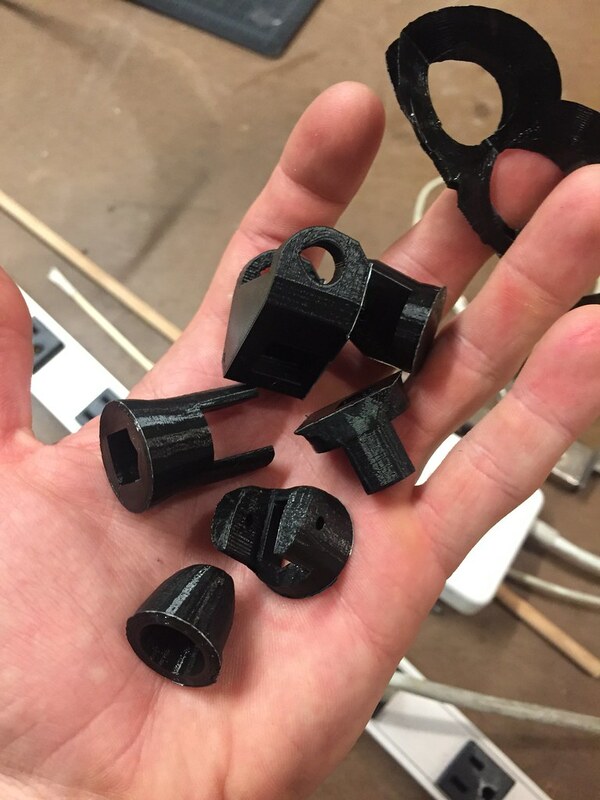 We used superglue and 3mm filaments to connect finger joints, 3d printed bolts to connect between the forearm and the hand, and used fishing lines and servos to control finger movements. 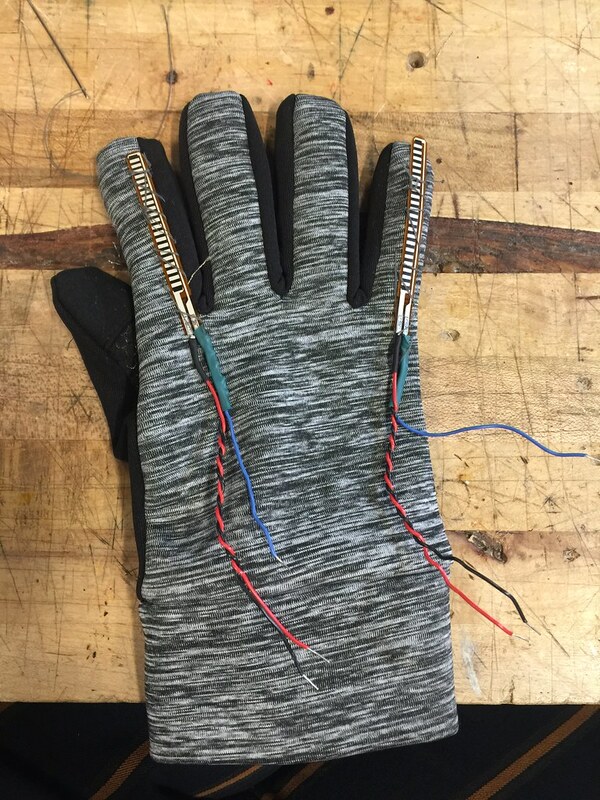 We designed a flex sensitive glove for this installation. 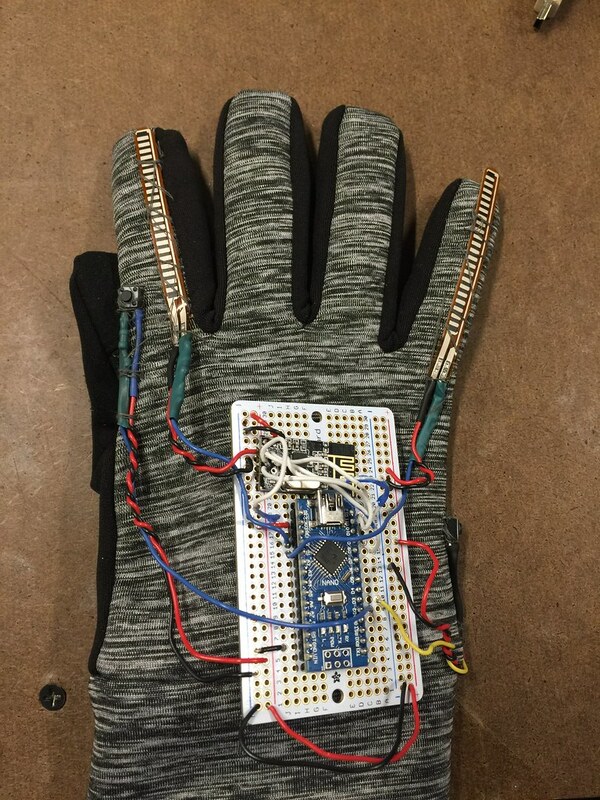 There are two flex sensors, a "start the game" button, and a “throw” button, all sewed to a right-hand glove and connected to a Arduino Nano board, which has a nRF24L01 wireless transceiver that talks to the other same-kind transceiver from the robotic hand part. 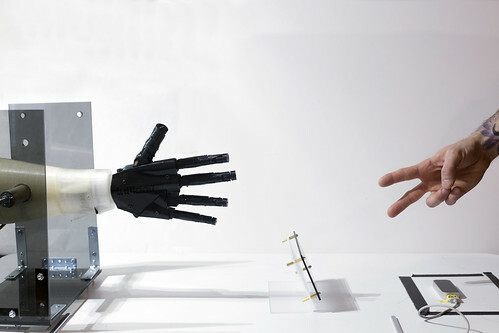 To play the game, player would put on the glove, press the "start the game" button, then press the "throw" button twice, and make a hand gesture indicating his/her choice of rock, paper or scissors. 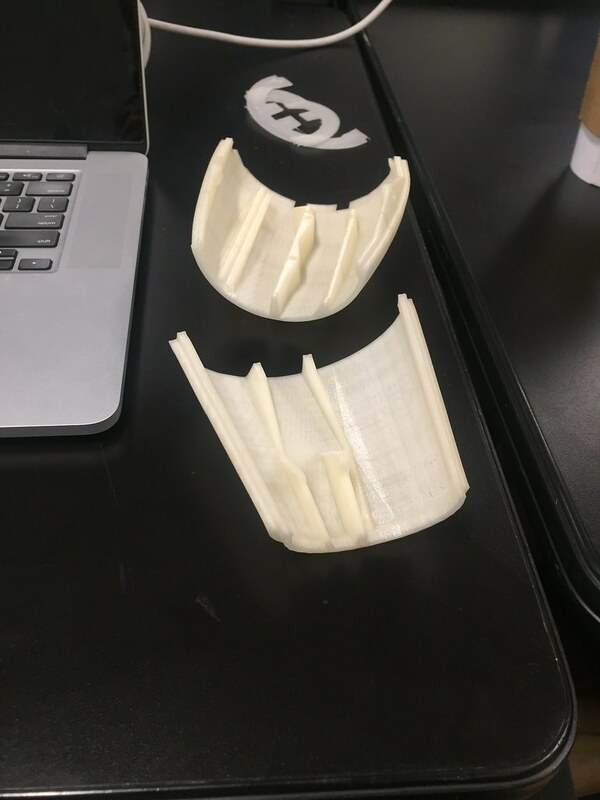 For better user experience, we use leap motion to replace the glove with flex sensors, which was in the previous version of the RPS game robotic hand. 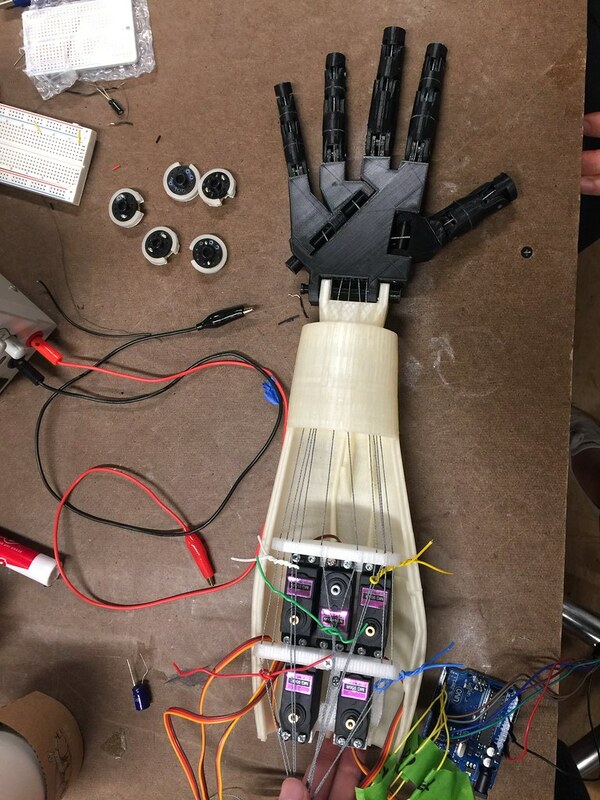 By doing so, users could simply activate the robotic hand by doing certain gestures such as waving. 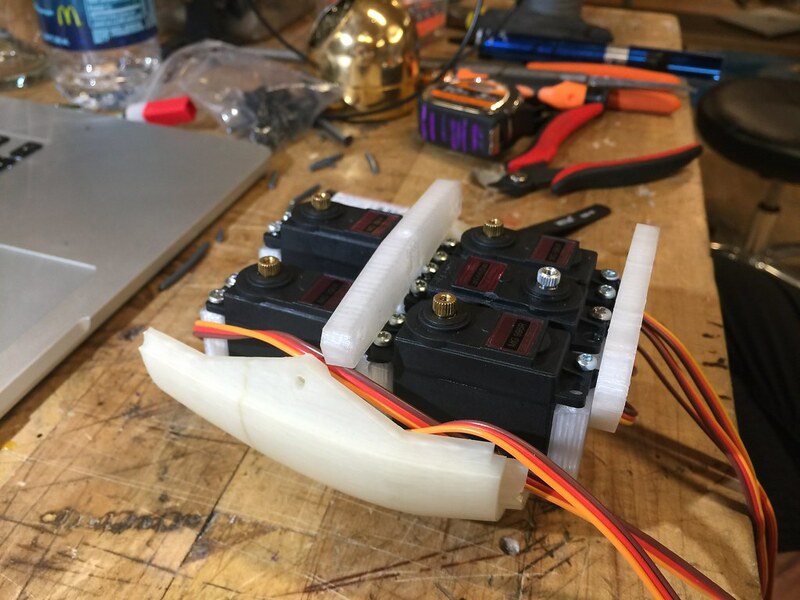 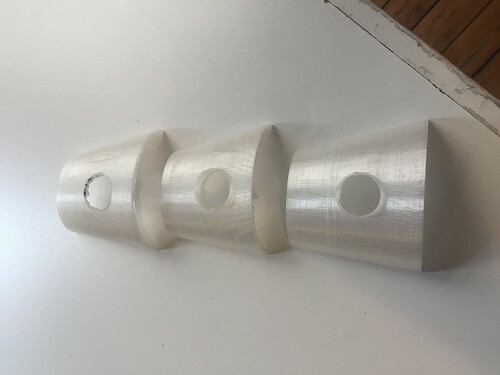 We also redesign the cover for the wrist part and rearrange the motors, so a steel tube could run through the arm part, which allows the hand to be mounted inside an acrylic enclosure and move up and down freely. 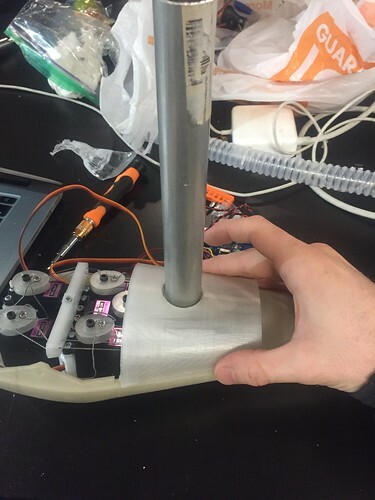 Two other elements are added to the design: a gesture display board, and a set of LED lights. 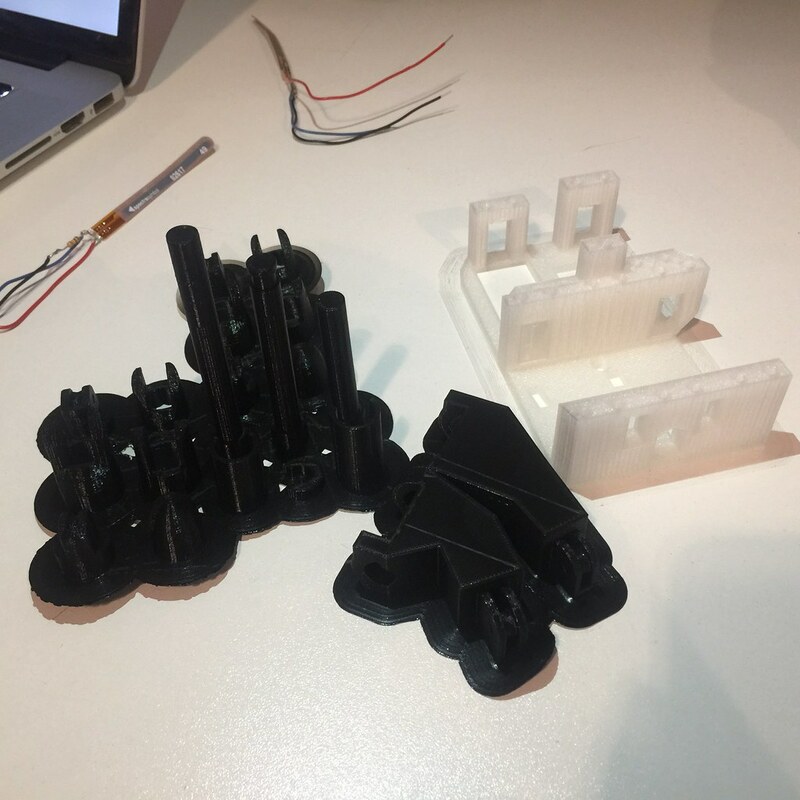 The gesture display board would light up the corresponding icon as what the user does during the game, which helps users to understand whether or not their gestures are detected correctly. 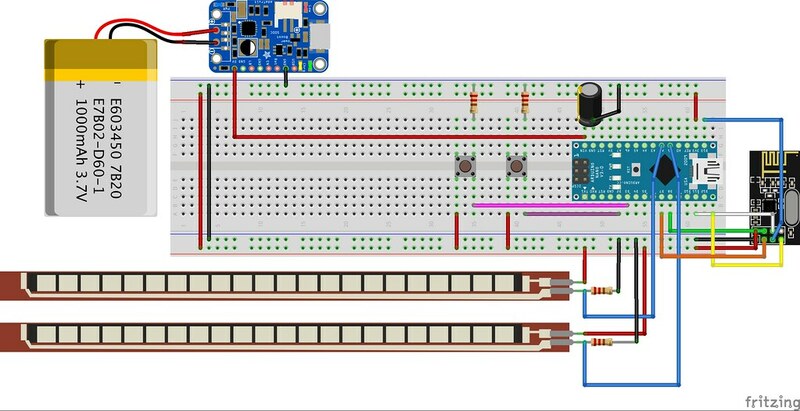 And the set of LED lights would light up in turn when an user throws twice before doing a RPS gesture.